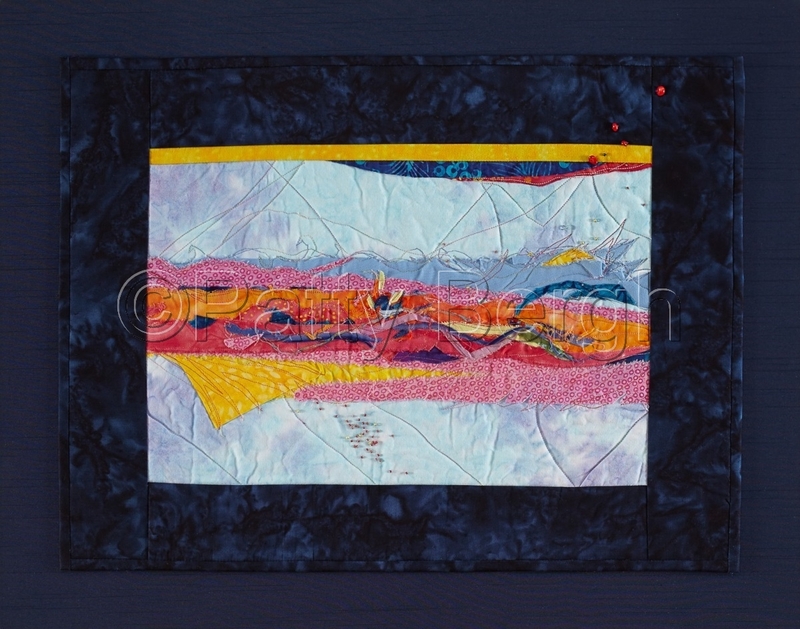 Art Quilt. Hand and machine quilting. Cotton fiber. Raw edge applique and fiber and bead embellishment. Matted.